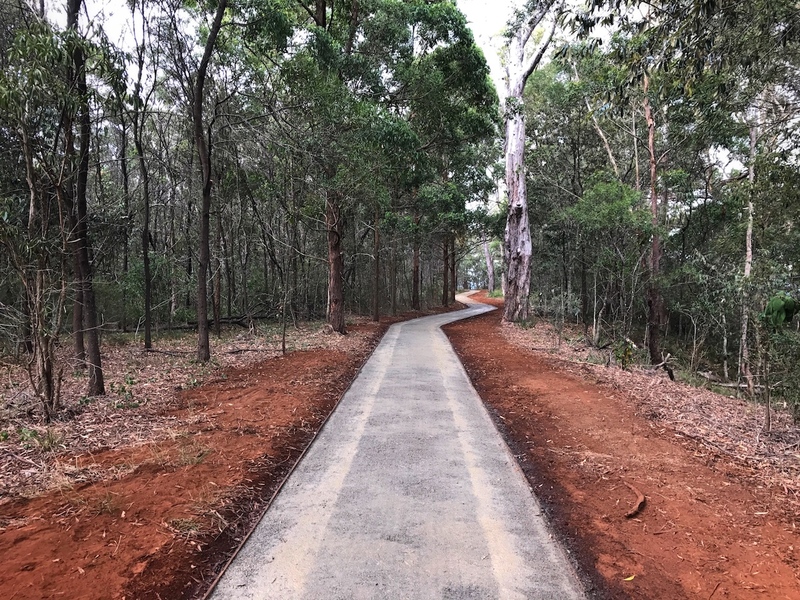 Toowoomba Regional Council engaged TrailScapes to construct approximately 650 metres of path accessible for all users, including those using wheelchairs/mobility scooters or visually impaired using a blind walking stick. 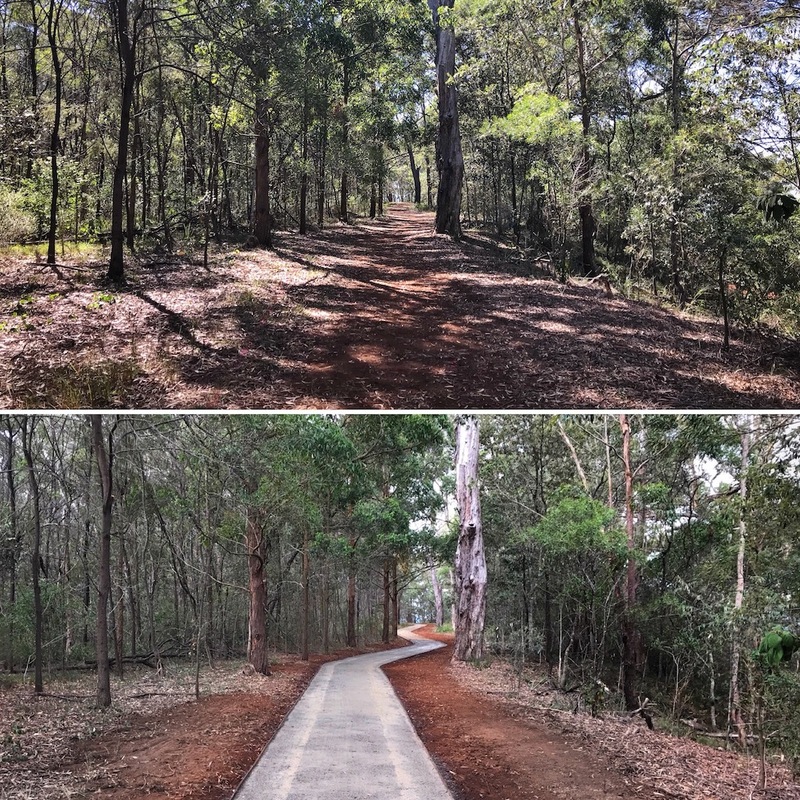 This trail, designed to allow anyone to connect with nature was constructed using timber edging and local road base, compacted then bound using an environmentally friendly Australian-made binder called SoilBond. Council also requested the edges on both sides of the trail be raised so they can be felt by walkers using a blind stick. 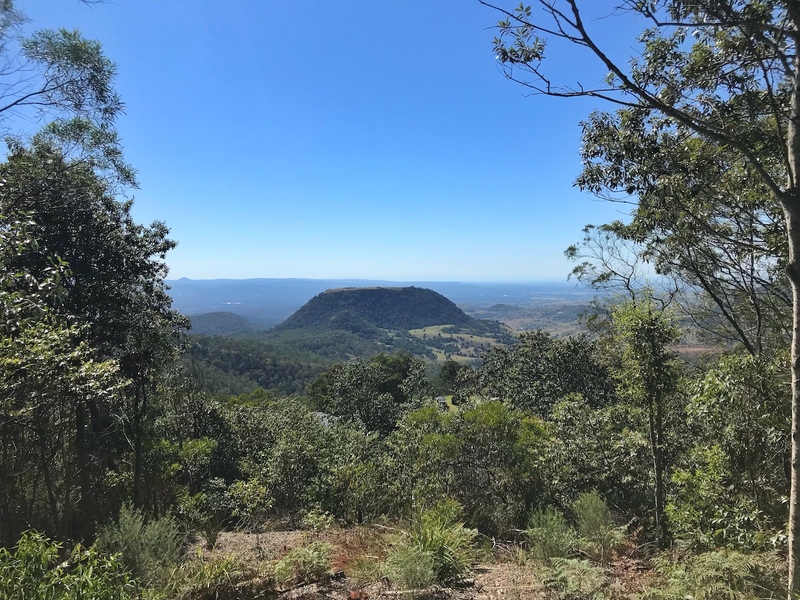 The path presents a wonderful opportunity for all to enjoy the sound of the local birds, the smell of the forest, spotting native wildlife and all the little pleasures nature provides. 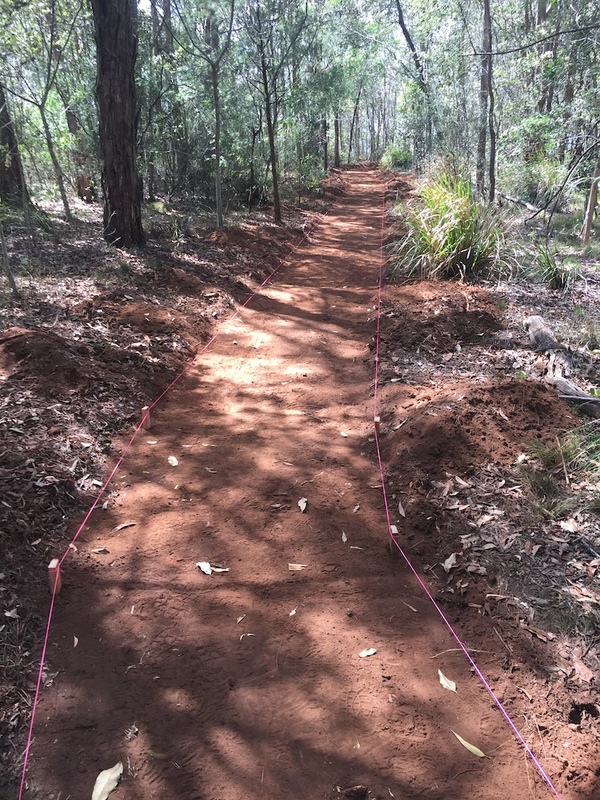 Aside from complying with the requirements for a Grade 1 walking trail, keeping the trail’s footprint to a minimum was one of the key requirements. The new trail was therefore constructed on top of existing paths. The trail construction was only the first of many stages to make JE Duggan a mobility and visually-impaired accessible park. The installation of toilets, lookout platform, and other facilities are planned for the near future.